Ladene Miles Bourne, former antiques dealer, turned jazz singer lives and performs in the Greater Binghamton, New York area. 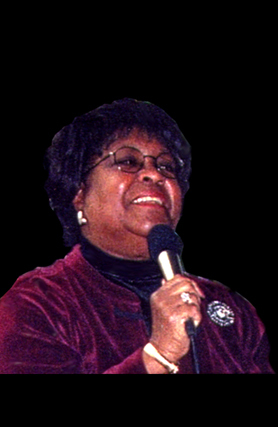 After studying with Binghamton voice coach, Mary Lou Muratori, Ladene studied with jazz singer, Sheila Jordan and voice teacher, Dr. Horace Clarence Boyer at Jazz In July at the University of Massachusetts. Ladene has performed at local club venues, receptions, malls, nursing homes and churches with the Gene Cothran Trio, Miles Ahead and other area jazz groups.